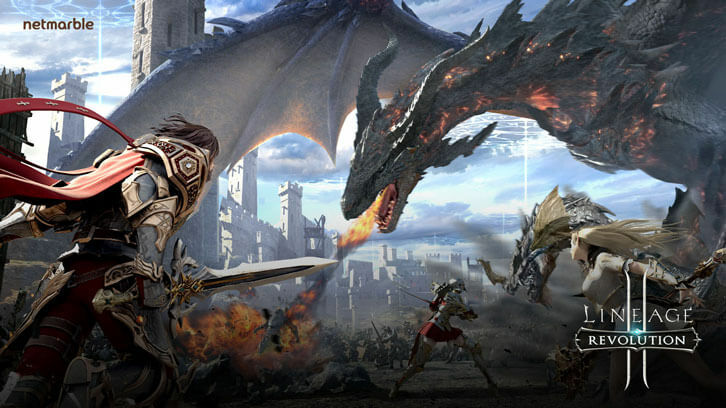 Rate this Article Lineage 2: Revolution is one of the biggest mobile action RPG and we're honored to have landed an interview with the game company's Producer, Jun Chooul Kim. Lineage 2: Revolution is not only a gorgeous mobile game; it has one of the most addictive gameplay we have ever experienced. Being huge fans of the game, it is a great honor for us to land an interview with none other than Netmarble Neo's Game Producer, Jun Chooul Kim. Q1: Thank you for accepting our interview request! We'll get right into it. We know that the new Castle Siege mode pits 4 different clans in a massive 200-player real-time PvP battle. How do you deal with the potentiality of a massive latency spike due to having so many players in a single battlefield? JC Kim: As it is massive PvP battle contents, it is almost impossible to prevent disconnection or lag issues, but there is a system that players can continue their play from the spot that they are disconnected. A pop-up will be shown on the player’s screen that he can be re-connected in 30 seconds without re-login process. Q2: Is there a level restriction for participants? Are there any other rules that players need to be aware of? 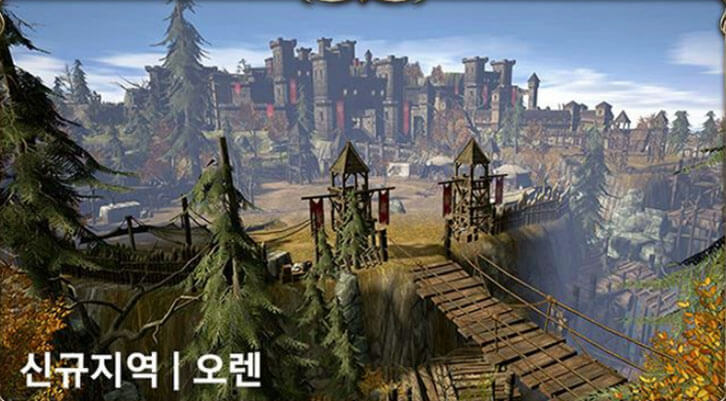 JC Kim: There is no level limit to participate Castle siege. Clans wanting to participate in Castle siege should compete with other clans for bidding war to get a chance to participate Castle siege, so it is important to be prepared for bidding war. Q3: In your opinion, what’s the best part about this new PvP mode? JC Kim: Making a lot of effort among the clan members is really important to conquer the castle. Because castle siege is a competitive content that 4 different clans fight for one castle, clans should consider bidding war, alliance, strategy, etc. to conquer or protect castle. In the process of making this effort, a lot of communication and cooperation between players occurs and players can feel a sense of achievement through victory of this content, where players can get a true experience of MMORPG. Q4: Are there any tips you could provide to players who want to play this mode? How they can get prepared for winning? JC Kim: Clan members fight with their own CP(combat power) so higher CP is helpful to get victory in castle siege. Clan leader & elder have authority to use the order system. So their ordering and communication among their clan members are key to getting a victory in castle siege. The defense side can use trap system and they can upgrade trap before the castle siege start so that it can give more damage to enemies. The trap works by decreasing the enemy’s HP by certain amount of % per a second when the enemies come into its area of effect. Q5: What does the new region, “Oren” look like and what can players see/find in this region? Q6: Correct me if I’m wrong but didn’t the players just get a max level increase to 180 in Jan of this year? Is there a real need to further increase the max level cap in the update? JC Kim: There were lots of players who reached 180 max level at that time. Raising a character is a part of fun in RPG game so we expanded level limit with Oren region update so that players can explore new region with raising their character. Q7: What sort of new dungeons that players can play? Are there more clan dungeons and world bosses in the works? JC Kim: The new dungeon, Adena Dungeon, Summoning Circle, can be played at the "very hard". difficulty level. And yes, we are preparing new clan dungeons and world bosses that are not just limited to adjusting difficulty levels. It is still quite early to talk about the details but when time comes we will let the players know about it. Q8: It is said that the Grade UR equipment system is different from the ones in Lineage 2: Revolution for either SEA or KR. Is this true? JC Kim: Yes, a lot of content and features in the Western version have been localized to suit the player’s taste and that includes Grade UR equipment. Beginning from the launch, our goal was to completely westernize the game and take into account the cultural differences of the global audience, hence there may be certain differences in the gaming experience that we provide. Q9: Are you privy of Lineage 2: Revolution’s next month’s updates? Is there anything you can share with our readers? JC Kim: I can’t reveal much details at this moment but I can tell you one thing that we are dedicated to provide a better MMORPG experience to our players. Players will be able to communicate more with each other and share info more often. We can't wait! Thank you once again for answering our questions!